Hi Sydney, thanks a lot for this shout-out. I am glad that my theme resonated with so many of my writing pals. 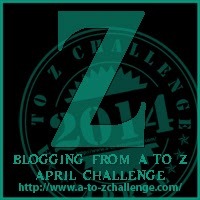 On 29th March after our house renovations got over I decided to participate in the A to Z Challenge. I decided my theme in half an hour and over the next two days I wrote the posts and scheduled them. And please do remind us about your book Another New Life (incase we forget). I would love to pick it up for my Kindle. Hugs. Well done! How quick this month seems to go by when we’re having so much fun. Good luck with the launch in June. You’re going to have a very busy May! Thanks for the visit and glad we both crossed the finish line, heads held high, clutching digital pen and paper. Good luck with the Another New Life. Ivy should have stood by her man. I didn’t read the book, I’m just saying, unless he’s cheating on you, you gotta stand by your man. Same goes for men. Just ask Lenny Kravitz. Congrats on the new release! And on finishing A to Z! Nicely summarised. I’ve worked hard to follow 17 participants and 13 non-participants. If I had to pick my top A to Z blogs, they would be http://amloki.blogspot.co.uk/ (Damyanti Ghosh), http://princessofdragons.wordpress.com/ (Princess of Dragons), http://www.murderousimaginings.blogspot.co.uk/ (Yolanda Renee). and http://charitywrites.blogspot.co.uk/ (Charity Bradford). Best non-participant goes to http://echoesofthepen.com/ (Paul Ruddock). Well done to you and once again, all the best with the book. It looks good. I like Yolanda’s post’s too. I’m so happy we made it and I found some new blog friends. Dedication is my middle name. Wait, no, it’s Joseph. I’ve enjoyed reading your posts this month. Now take a break. And congratulations on completing the Challenge! Oh my…your blog ate my rather long comment. To sum up: good job, yes there’s more crazy to come. Can’t wait to read your book! Congrats Faith! This year had so many themes. I just loved seeing the different posts and making new blogging friends. There were so many great blogs with great themes. It was difficult to keep up with everybody. you’ve been so great with promoting others! way to finish the challenge! Hi Sydney! 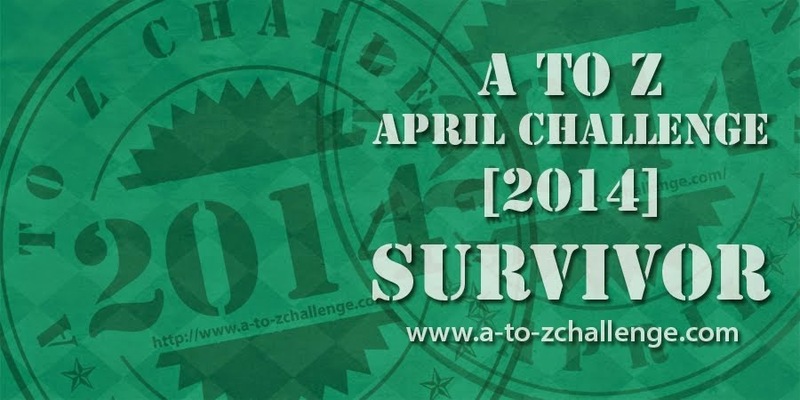 I didn’t know you were doing the AtoZ challenge also! Zero hour, phewwww! We did it! It was hard to keep up with all the great blogs and A to Z posts, the few I caught of yours sure made me feel intrigued about Another New Life!